The Lawrence Academy of Music will host an informational session for its New Horizons Band and Orchestra on August 22 from 6:30-8:30 p.m. in Shattuck Hall, room 163, located in the Lawrence University Conservatory of Music, 420 E. College Ave. The New Horizon ensembles offer adults the opportunity to learn to play a musical instrument in a band or orchestra—even if they have no prior musical experience. As a member of a New Horizons Music ensemble, adults have the opportunity to meet new friends and work as a team to learn music for concerts and other performances in the community. New Horizons ensembles perform many times each year in venues ranging from formal concerts to parades to parks and retirement and nursing homes. There are also a number of annual music institutes that participants can attend that cater to New Horizons musicians in locations such as Door County, Aspen, Colo., Lake Placid, N.Y., Palm Springs, Calif., and Sydney, Australia. Each ensemble offers three 10-week sessions. The New Horizons Band, which includes brass, woodwinds, and percussion instruments, meets Tuesdays from 6:30-8:30 p.m. beginning September 12. The New Horizons Orchestra, which includes violin, viola, cello, and string bass, meets Thursdays from 6:30-8:30 p.m. beginning September 7. Both ensembles meet at Trinity Lutheran Church, 209 S. Allen St., Appleton. The cost is $99 per 10-week session or $270 for all three sessions. For more information on the New Horizon Music ensembles or to register, call 920-832-6632, e-mail acad_music@lawrence.edu, or visit www.lawrence.edu/dept/acad_music. Lawrence University art director Marsha Tuchscherer has been cited with an Award of Excellence by the University and College Designers Association (UCDA) for her redesign of the Lawrence Academy of Music identity program logo. The logo, which includes two one-sixteenth notes tied together, will be included in a display during the UCDA’s 2003 Design Show in October in Boston as part of the association’s 33rd annual conference. Tuchscherer’s design was one of 201 award-winners selected from more than 1,500 entries in the UCDA’s annual design competition. The logo citation was the fourth time Tuchscherer’s work has been recognized with an award by the UCDA. She has served as the art director at Lawrence since 1996. The Lawrence Academy of Music has been awarded a $28,000 arts education grant by the National Endowment of the Arts to support its growing jazz education programs for area youths. The NEA grant will support the Academy of Music’s summer Jazz Odyssey program — a five-day camp that begins July 21 — as well as two new initiatives that will begin this fall. In September, the Academy of Music will launch both a new after school jazz program and a Saturday morning jazz component designed to enhance current school music experiences and provide creative new opportunities. Both programs will be open to area students in grades 6-12 who are currently playing an instrument or singing. Led by a staff of three or more instructors, the two new programs will feature specialized offerings in the history of jazz and its Afrocentric roots, jazz improvisation and composition and small-group combo performance experiences. Fred Snyder, director of the Lawrence Academy of Music, is hoping to attract 25-40 students for both the after-school and Saturday morning programs, which he said will be designed to augment, rather than compete with, music programs currently offered in area schools. “Jazz is extremely popular in this area and we’re very excited about the possibilities this difficult-to-come-by NEA grant will provide,” said Snyder. The Lawrence Academy of Music was one of only four Wisconsin arts organizations awarded a grant by the NEA for 2003 in the organization’s arts education category. 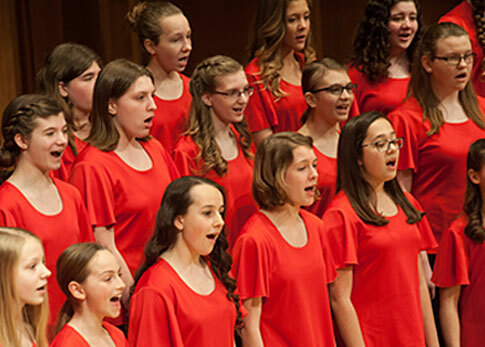 Founded in 1874 as a division of the Lawrence University Conservatory of Music, the Lawrence Academy of Music provides personalized music instruction to community residents. Originally established as the Preparatory Program, it became known as the Lawrence Arts Academy in 1990. Last summer, it changed its name to the Lawrence Academy of Music to better define its role as a music education provider. 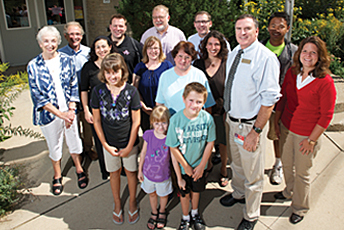 Featuring a staff of close to 50 music specialists, the Academy of Music serves nearly 1,900 area students ranging in age from six months to 18 years old through a variety of enrichment and instructional programs, including early childhood music, private instrument lessons and classes in music theory, voice and chamber music. The Academy also sponsors eight ensembles, including five girl choirs, two bands and a string orchestra. Its summer Odyssey program features a series of day camps that explore topics on music fundamentals, creative dramatics, singing, eurhythmics, creative writing, visual arts and more.